WorkCompTV.Com is proud to announce the release of our latest tool for effective claims management, "The Claims Examiner Toolkit. For managing a Workers' Compensation claim in the California Workers' Comp environment. 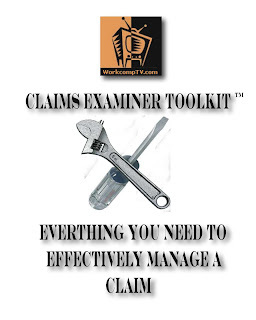 You may purchase the Claims Examiner Toolkit at the WorkCompTV.Com website for $39.99 per CD. good info but too little information!